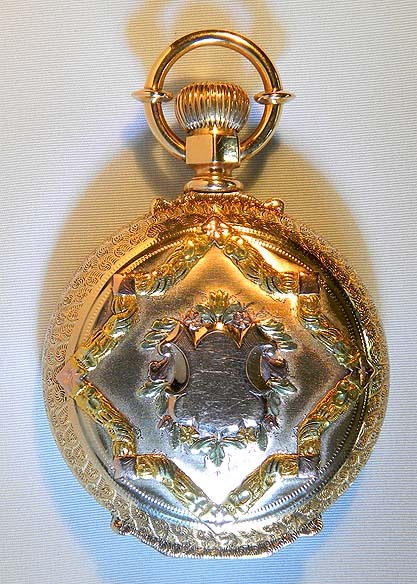 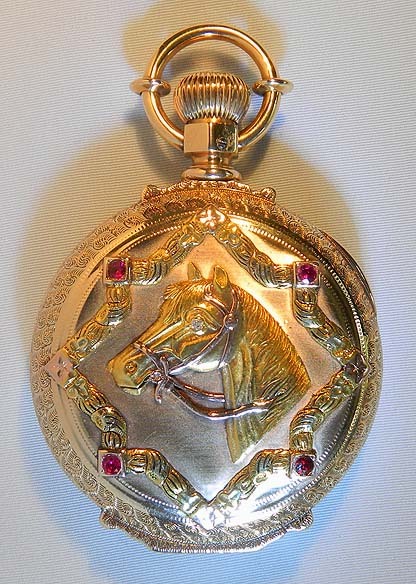 Beautiful and scarce Waltham 16/S model 1872 multicolor 14K gold, diamond and ruby antique pocket watch circa 1887. 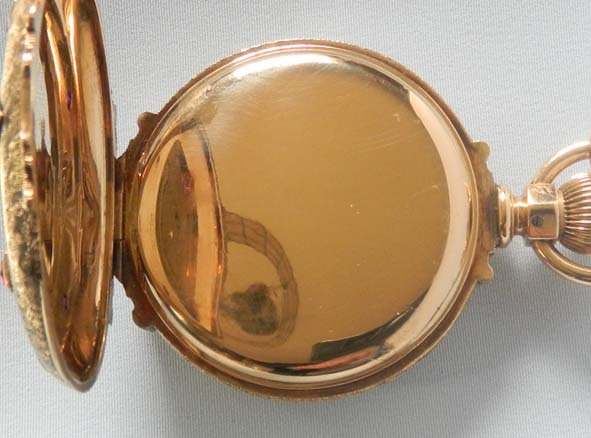 The box hinge case with very high relief decorations in various colors of gold in particularly fine condition. 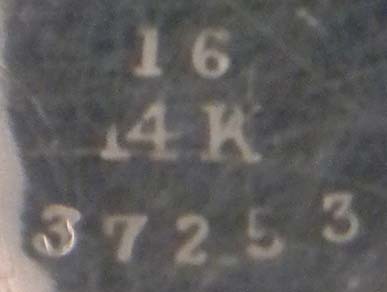 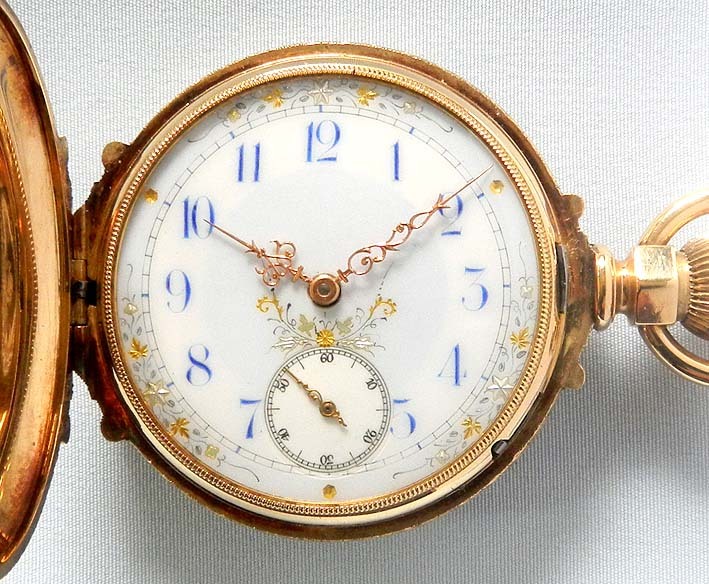 Fine white enamel dial with blue numerals, gold and silver decorations, and fancy gold hands. 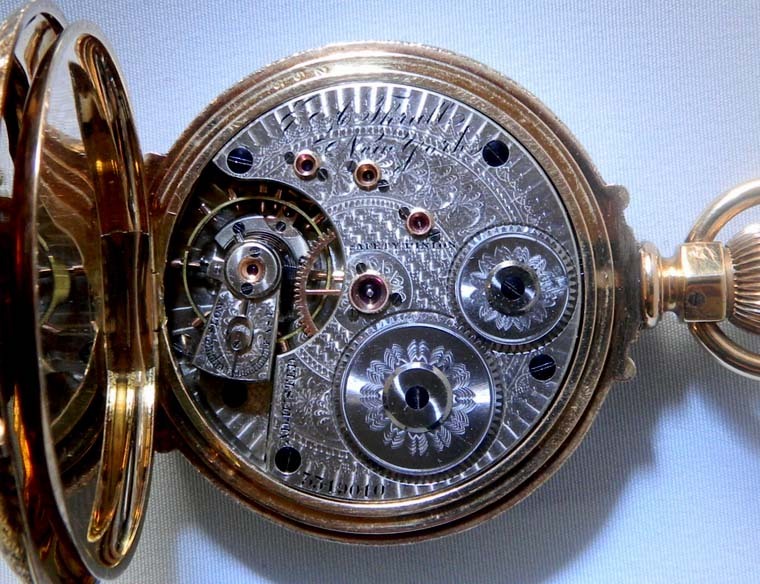 Beautifully finished scarce 21 jewel movement. 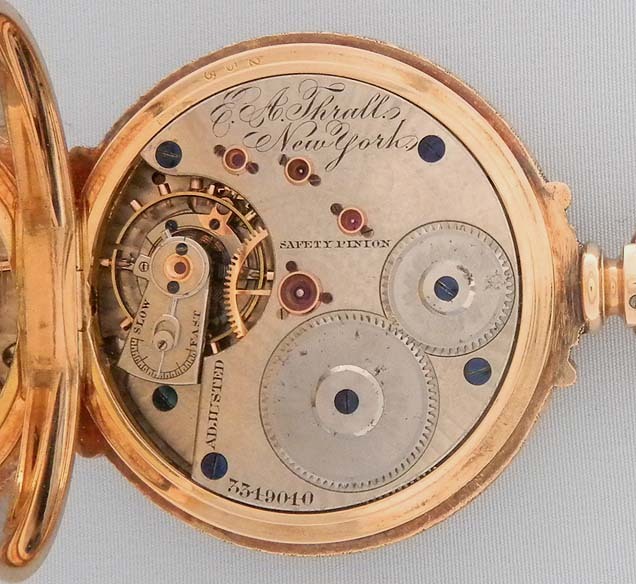 An exceptional watch in particularly fine condition.